Hawks, vultures and storks circle overhead as Christopher Sveen points at the heap of refuse rotting in the desert heat. “This is the mine of the future,” he beams. After five years of development, the company is bringing its operations online, with hopes of revolutionising waste management and being a driver to make landfills obsolete. It remains to be seen, however, if the technology really works and is commercially viable. UBQ operates a pilot plant and research facility on the edge of southern Israel’s Negev Desert, where it has developed its production line. “We take something that is not only not useful, but that creates a lot of damage to our planet, and we’re able to turn it into the things we use every day,” said Albert Douer, UBQ’s executive chairman. He said UBQ’s material can be used as a substitute for conventional petrochemical plastics and wood, reducing oil consumption and deforestation. UBQ has raised $30 million (roughly Rs. 195 crores) from private investors, including Douer, who is also chief executive of Ajover Darnel Group, an international plastics conglomerate. Leading experts and scientists serve on its advisory board, including Nobel Prize chemist Roger Kornberg, Hebrew University biochemist Oded Shoseyov, author and entrepreneur John Elkington and Connie Hedegaard, a former European Commissioner for Climate Action. The small plant can process one ton of municipal waste per hour, a relatively small amount that would not meet the needs of even a midsize city. But UBQ says that given the modularity, it can be quickly expanded. On a recent day, UBQ Chief Executive Tato Bigio stood alongside bales of sorted trash hauled in from a local landfill. He said recyclable items like glass, metals and minerals are extracted and sent for further recycling, while the remaining garbage – “banana peels, the chicken bones and the hamburger, the dirty plastics, the dirty cartons, the dirty papers” – is dried and milled into a powder. The steely gray powder then enters a reaction chamber, where it is broken down and reconstituted as a bio-based plastic-like composite material. UBQ says its closely-guarded patented process produces no greenhouse gas emissions or residual waste byproducts, and uses little energy and no water. According to the United Nations Environment Program, 5 percent of global greenhouse gas emissions are produced by decomposing organic material in landfills. Roughly half is methane, which over two decades is 86 times as potent for global warming as carbon dioxide, according to the UN Intergovernmental Panel on Climate Change. For every ton of material produced, UBQ says it prevents between three and 30 tons of CO2 from being created by keeping waste out of landfills and decomposing. UBQ says its material can be used as an additive to conventional plastics. It says 10-15 percent is enough to make a plastic carbon-neutral by offsetting the generation of methane and carbon dioxide in landfills. It can be moulded into bricks, beams, planters, cans, and construction materials. Unlike most plastics, UBQ says its material doesn’t degrade when it’s recycled. The company says converting waste into marketable products is profitable, and likely to succeed in the long run without government subsidies. The wonder plastic isn’t without its sceptics, however. Duane Priddy, chief executive of the Plastic Expert Group, said UBQ’s claims were “too good to be true” and likened it to alchemy. UBQ said it is confident its technology will prove the sceptics wrong. “We understand that’s people’s perceptions. We hope to convince them in a professional and scientific manner,” Sveen said. Even if its technology is ultimately successful, UBQ faces questions about its long-term viability. Building additional plants could be expensive and time-consuming. It also needs to prove there is a market for its plastic products. The company said it is negotiating deals with major customers, but declined to identify them or say when the contracts would go into effect. The UN Environment Program has made solid waste disposal a central issue to combatting pollution worldwide. Landfills contaminate air, water and soil, and take up limited land and resources. A December 2017 report by the international body devoted five of its 50 anti-pollution measures to reducing and processing solid waste. 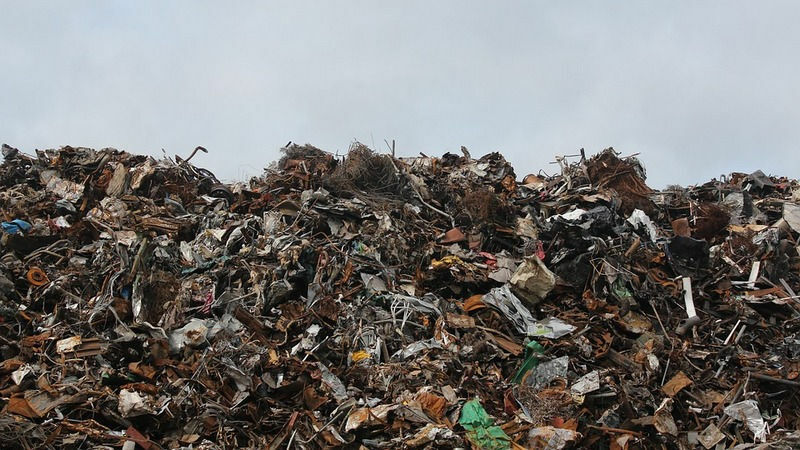 Israel lags behind other developed countries in waste disposal. The country of roughly 8 million people generated 5.3 million metric tons of garbage in 2016, according to the Environment Ministry. Over 80 percent of that trash ended up in increasingly crowded landfills. A third of Israel’s landfill garbage is food scraps, which decompose and produce greenhouse gases like methane and carbon dioxide. To UBQ, that means a nearly limitless supply of raw material. “The fact is that the majority of waste goes to a landfill or is leaked into our natural environments because there simply aren’t holistic and economically viable technologies out there,” said Sveen. If you were concerned about garbage on your street in India, here’s what you might do: Snap a photo of the trash on your cellphone, then send it via WhatsApp to the smartphone of the garbage police. Khaki-clad officers would rush over to order a cleanup. City officials would fine the offender, and maybe reward you, too. That’s an ideal scenario; still, what’s happening on the ground is real. 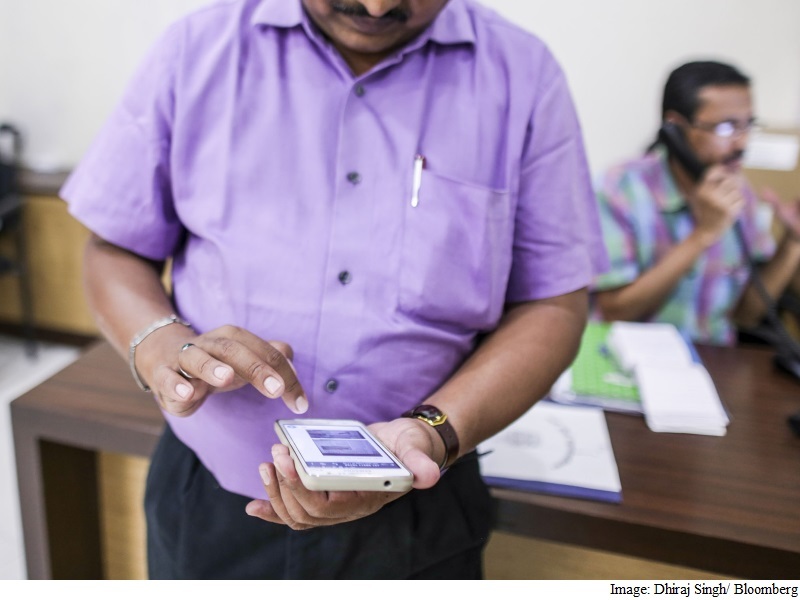 Some of India’s major municipalities are establishing anti-garbage programs using smartphone technology to try to vanquish India’s Sisyphean waste and litter problems. On the beaches of Goa, in neighborhoods in New Delhi and on the streets of northeastern Bihar state’s capital, Patna, municipal officials are also taking in WhatsApp complaints from conscientious citizens. The Delhi state government launched an app called Swachh Delhi (“Clean Delhi”) in November for people to upload photos of illegally dumped garbage. Another Delhi government department is seeking WhatsApp reports to stop people from burning waste to keep warm in the winter, worsening air quality in a city with already the world’s worst air pollution. In Bihar, the state government is trying to clean up Patna-ranked among the dirtiest Indian cities in a 2016 nationwide government survey-with an Apna Patna, or My Patna, app that allows citizens to report violations including litter, broken street lights, flooding, dead animals and illegal construction. The progress of each complaint can be tracked online. Goa, where beaches draws tourists worldwide, runs its WhatsApp line for beachgoers to report offenses against its otherwise pristine environs. The helpline gets as many as six alerts in a week, Sanjeev C. Gauns Dessai, Goa’s tourism director, said in an e-mail. The Navi Mumbai’s WhatsApp initiative follows the success of a similar experiment with debris-dumping squads, which the city had started in October and which halved illegal dumping after it started in October. Two Nuisance Detection Squad vehicles enforce no-littering statutes from 6 a.m. to 10 p.m. and respond to WhatsApp tips-more than 300 since the program’s start in January. Violators can be fined RS. 100 ($1.50) on first offense and Rs.. 250 thereafter, though the culprits can’t always be found, Rajale said. Two other vehicles, called Flying Debris Squads, patrol Navi Mumbai precincts around the clock to catch truckers, mostly from the construction industry, dumping debris either without a permit or in non-permitted areas. Citizens can receive a 1,000 rupee cash prize each time they report violators, according to Ankush Chavan, a senior official at the city agency. Violators face confiscation of the truck unless they pay a fine of as much as Rs. 30,000. More than 60 trucks have been confiscated so far, with fines totaling Rs. 1.34 million. Navi Mumbai was judged India’s third-cleanest city in a 2015 government survey as it attempts to avoid the pitfalls of Mumbai-its older, filthier neighbor that houses India’s biggest dump site. Mumbai produces 11,000 metric tons of trash every day, the bulk of which gets dumped at Deonar. Navi Mumbai, by contrast, generates 675 tons of garbage and 1,200 tons of debris a day. Near Sharma’s kiosk, the garbage police found a violator. An automobile repair shop had strewn tire tubes, wrenches and bolts on the road while a vehicle waited to be fixed. The beat marshals whisked the owner to the squad vehicle. He went back Rs. 100 lighter, as did the owner of a shop under renovation where the carpenter had left wood shards and sawdust on the pavement. A tailor shop was fined for leaving waste cloth strips on the road, while a fruit juice shop was fined for dumping juiced-out sugarcane sticks. Navi Mumbai’s debris police face more drama. Some truck drivers who fear their vehicles may be confiscated run away, sometimes disconnecting the battery first and taking the keys, according to two municipality officials who asked not to be identified because they aren’t official spokesmen. Another time a driver started hitting himself on the head with a stone and claimed he was being harassed, according to one of the officials. Some drivers pretend the truck has no fuel and can’t be driven to the confiscation site, the other official said. Arguments, shows of strength or claims of political connections are other common push-back tactics, the municipal officials said. Snitching by citizens can potentially lead to conflicts such as between residents and hawkers, said Amita Bhide, a professor and urban policy expert at Tata Institute of Social Sciences in Mumbai. “These are interesting initiatives that can reduce the distance between the citizens and bureaucrats, but over time these need to evolve” into addressing the fundamental issues that lead to dumping in the first place, she said. While using technology offers a new way to solve old problems, such initiatives can only be sustainable if city authorities continue to deliver results.